When people think about auto financing, credit unions rarely come up as a possible solution. A credit union is a cooperative financial institution where members can obtain loans from the collective pool of funds. Many people consider getting auto loans from the dealer, the bank, or an online lender, but never stop to consider the potential benefits that a credit union could offer you. In actuality, credit unions could be the best place for you to go for an auto loan. Here are a few benefits of getting your auto loan from a credit union. Credit unions will almost always have a lower rate on auto loans when compared to a regular bank. The reason for this is that credit unions are granted non-profit status by the government. They do not have to pay taxes like banks do and, therefore, save a lot of money every year. As a result of those savings, they can pass on lower interest rates to you. When you save even a fraction of a percentage point on your auto loan, it can make a big difference for you. A lower interest rate will lower your monthly payment and the overall amount of money that it costs for the loan. This is a major advantage over loans from other types of lenders. As a result of the savings that credit unions get from the government, they can also charge fewer fees for their services. A typical lender will have several fees with their loans. These fees can add up to a significant amount of money over the long term. 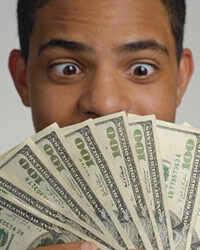 If you can avoid these fees just by using a credit union, you will usually be much better off. One thing that is significantly different about credit unions is the democratic process that they utilize. When you are a member of the credit union, you actually get to vote on who sits on the board of directors. And the board of directors usually serves without pay. If you do not agree with the policies and procedures that the credit union has in place, you can actually do something about them. Therefore, when you have an account, you actually have a say in who runs the bank and how it is run. With a bank, you are just a customer and are not actively involved in the decisions of the business in any way. While credit union membership definitely has its benefits, you should know that not everyone is eligible to join every credit union. You should be able to find a credit union that you can join, but some of them are like exclusive clubs. For example, larger companies have their own credit unions that are available only to their employees. If this is the case, you will not be able to get an account there.